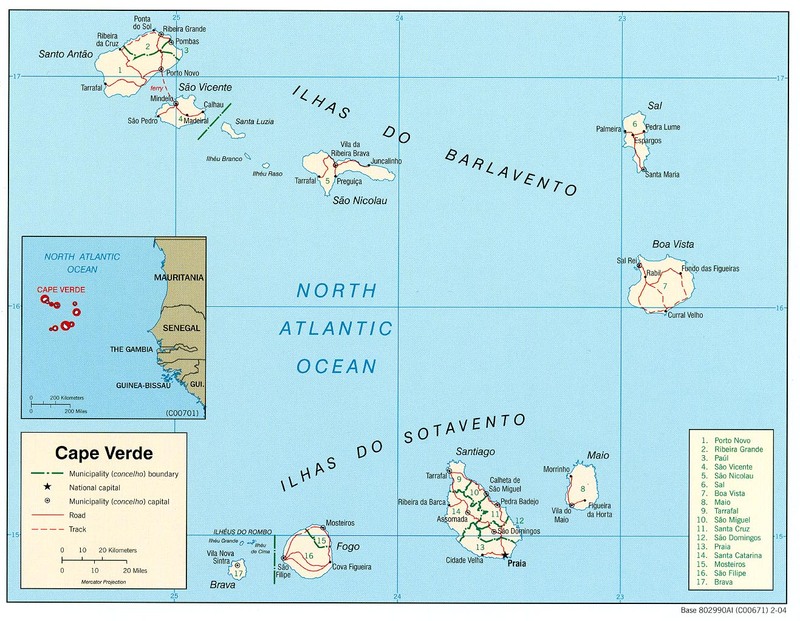 Cape Verde’s name is belonging to the “least developed nation” category. When our colleague Arjan de Jager visited Cape Verde some months ago he stumbled from surprise to surprise. It is a well-functioning democracy where economic growth has been strong, where literacy is almost universal and 80% of the population has access to (mobile) phones. Evan Davis of the BBC calls Cape Verde the African Good New Story. The first day he went to a square in Praia, the big city of the island Santiago. Dozens of young people were working on their assignments for school or university using their laptops and taking advantage of the free WiFi available in the square. Dozens of travel agencies, restaurants and small start-ups were working on their business plans, their marketing via Facebook and other social media and Web2.0 tools. No all the squares in Cape Verde were checked, but in every town on the three islands he visited the government provides free WiFi at each square. Not only the big cities of Cape Verde but also the tiny villages. The squares have become lively places again where people get together, study, discuss, make plans. In other words: the squares become literally the centre of the world in Cape Verde. Free WiFi in Cape Verde is a good example of ICT as an enabler of development that supports education, trade and even personal growth. It also contains a strong message for development initiatives: facilitate development without determining how people should develop. Provide access to the tools and people will find ways to use it. 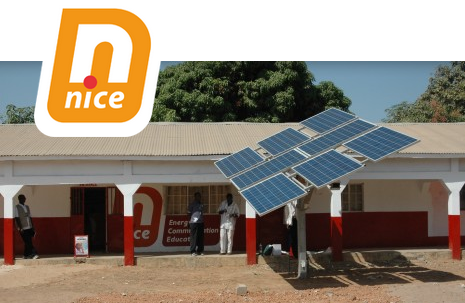 NICE was offering telecenters with sustainable solar energy – so called NICECentres – to unleash the potential of people in developing countries. The sentence is stated in the past tense, because NICE International has closed its doors. An interesting appropriate ICT project that failed to become sustainable. The social enterprise NICE was initiated by Energy4All Foundation and Econcern (bankrupt in 2009) a Dutch company dealing in renewable energy and carbon credits. The first pilot started in 2006 in Gambia. The goal of NICE was to deploy 250 NICE Centers in 10 countries in Africa based on a franchise concept that allowed local communities to own and maintain a centre. As explained by NICE, the core of the centres is a solar energy system. The batteries provide a back-up in case of low energy production and a stabilizer guarantees a stable output to the equipment in the centres. The solar system allows NICE Centres to operate where there is no grid. The centres have an energy-efficient and low cost IT-infrastructure with a server a number of thin clients. This includes a multifunctional printer for document services. The server and the clients run Ubuntu-Linux. NICE Centers are connected to the Internet through an available local Internet Service Provider. Problems started immediately when the first two pilot centres went live in Gambia. Problems with the hardware, bugs in the software and the solar panel did not provide enough energy for the installed equipment. However most problematic proved the franchise concept; local entrepreneurs or communities were not willing or able to invest 30.000 Euro. A lease model was therefore introduced. Although the centres started to make a small profit, finances became a problem. More funding needed to be found to finance the head-office in the Netherlands. EU funding was found, but with this type of donor strict rules, regulations and control come along. This was not foreseen and difficult to manage. In spite of the new funding things went downhill quickly. The next NICE country program (Tanzania) never materialised, the profit of the Gambian centres dropped and local owners of the NICE Centers did not behave as a entrepreneurs but more like employees of NICE. Combined with the rise and maturation of the mobile market, telecentres quickly became obsolete and NICE international had to close its doors. It is always sad to see ICT4D projects go down especially when it are social enterprises working with appropriate ICT. However, it is important to reflect on whether the project was viable from the start and how we can learn from what has happened to NICE International. Already at the start of the project discussions were questioning the sustainability of the telecentre concept and organisations like APDIP were looking for new business models. The so-called Telecentre 2.0 operates within a ‘national alliance’ that includes government, the private sector and civil society representatives. Was this the case with the NICE Centres? 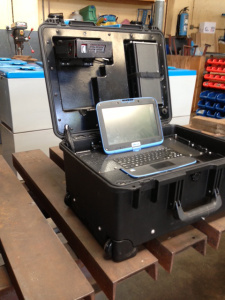 Flexibility is key in successful ICT4D projects according to Heeks. We need to learn from the project experiences early on and constantly adapt what we are doing. Did the project have this necessary adaptive power and flexibility? Was rigidity the reason that they were overtaken by the mobile revolution? Dealing with large donors like the European Union is often underestimated. The money looks good, but the procedures are killing when you do not have experience with them. The NICE project is a clear indication of this. Was there expertise to deal with these types of donors? The usual suspects: Gambia, Tanzania, the Anglophone countries in general are target areas of small projects. At the same time, this market is already saturated and only innovative concepts have a chance. In the other parts Africa, especially the Francophone countries there is still a lot of room for new projects and expertise in the area of ICT is highly needed. Did the NICE initiators do a proper market research, or were just going with the flow? Doing business in Africa is full of challenges and requires a thorough understanding of African business values and ethics. Business Schools do not prepare you for this. Ties Kroezen – one of the initiators of the project – states in an article in One World that his biggest disappointment was the behaviour of the local ‘owners’ of the NICE Centres. He saw no maintenance and no development of the centres. Is this not normal practice? This raises the question, did the initiators of NICE International had a good enough understanding and experience of what doing business in Africa entails? 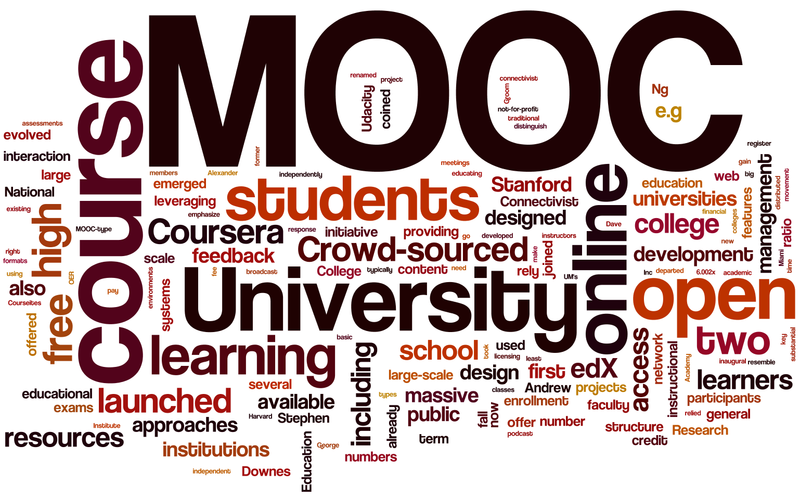 Did they seek support or coaching with experienced ICT4D professionals? The NICE case is interesting and it is admirable that the initiators have been open and transparent in their failure to create a successful project. Practitioners in the field need to learn from these types of cases and hopefully it will help to make their next Appropriate ICT4D project successful. This post borrows from the article “Hoe een prachtig businessplan in Afrika mislukte” in One World magazine – in Dutch. The new UNCTAD Information Economy Report (2013) is examining the economic potential of cloud computing for low- and middle-income countries, where rates of adoption are currently low. Policy recommendations for governments are formulated but the power of local innovators is under estimated. Innovation in the realm of information technology continues its rapid pace, with cloud computing representing one of the latest advances. Significant improvements in the capacity to process, transmit and store data are making cloud computing increasingly important in the delivery of public and private services. This has considerable potential for economic and social development, in particular our efforts to achieve the Millennium Development Goals and define a bold agenda for a prosperous, sustainable and equitable future. Cloud computing has matured quickly over the past years and has become an important new direction in the ICT infrastructure for governments and enterprises in the developed world. Some predict that cloud technology will be among the most significant disruptive technologies over the next two decades, with major implications for markets, economies and societies. According to definitions proposed in April 2013 by the International Telecommunication Union (ITU) and the International Organization for Standardization (ISO), cloud computing is a paradigm for enabling network access to a scalable and elastic pool of shareable physical or virtual resources with on-demand self service provisioning and administration. Cloud services are defined as services that are provided and used by clients on demand at any time, through any access network, using any connected devices that use cloud computing technologies. 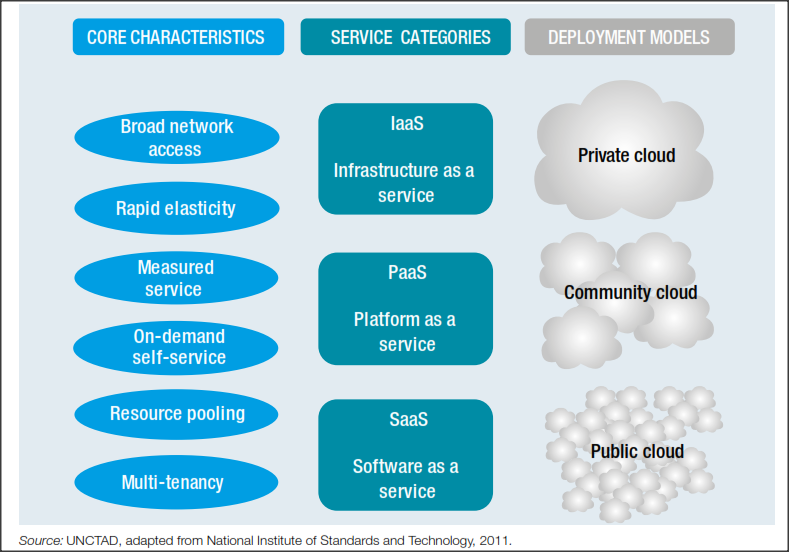 At an individual level cloud services have an extensive adoption in Africa as local services are often expensive, unreliable and of low quality. Especially services like webmail an online social networks are popular and still growing fast. It is common practice that Yahoo! or Gmail services are used for official communications by government officials and companies. In countries with is a growing SME sector, the potential for SaaS (Software as a Service) solutions is high. High quality ICT services at a low cost can help SME’s to mature fast. Although the adoption of cloud services but SME’s is still small, if the SME sector expands, the market for SaaS in developing countries will become more important and eventually dominant as it already is in developed countries. At the levels of Governments in Africa the potential still needs to be fully explored. Because of privacy fears, Government departments and larger corporations prefer private over public cloud approaches. Improved system management, reliability and IT security. The availability and quality of cloud-related infrastructure: Access to broadband internet is not yet common, but also the lack of supporting infrastructure, such as Internet exchange points (IXPs), reliable and inexpensive electricity and robust fibre-optic backbones also affect the deployment of national data centres. Cost considerations: The fees for broadband access and usage and charges by the ISP are still high compared to developed economies. Data protection and security: Issues of data protection and security are among the concerns most frequently mentioned by potential cloud customers in both developed and developing countries. Especially in Africa, very few adequate legal and regulatory frameworks are available to address data protection and privacy concerns. The placement of data in the cloud may require regulatory intervention to address concerns related to personal privacy, commercial secrecy or national security. Assess the cloud readiness of the country: Governments should start by carefully assessing the current situation in their countries, to identify bottlenecks and weaknesses that need to be addressed if the cloud is to be effectively exploited, and clarify what kind of cloud solutions are most propitious. Develop a national cloud strategy: Based on the readiness assessment, a national cloud strategy could be drafted either as a stand-alone policy document or as an integral part of the national ICT strategy. Address the infrastructure challenge: This would involve measures to improve the provision of reliable and affordable broadband infrastructure and to monitor regularly the quality of broadband services. Effective communications regulations are here of the essence. Attention should also be given to the role of IXPs and the provision of electricity. Address relevant legal and regulatory issues related to cloud adoption to ensure that cloud service users’ interests are properly protected: Key areas include the location of data, e-transactions and cybercrime. Efforts should be made to reflect international best practice in the development of new legislation. 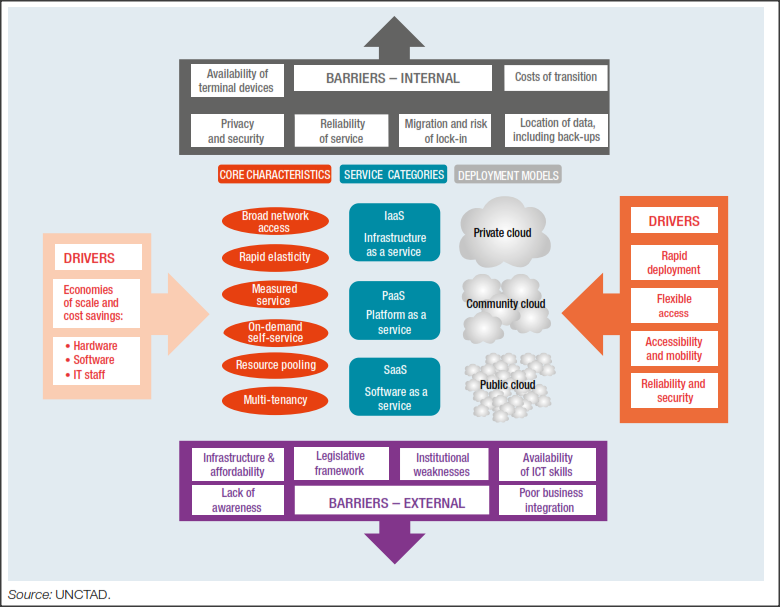 Map opportunities in the supply side of the cloud economy: Three key areas deserve particular attention: the development of national data centres, the potential for cloud aggregation services, and the development of new cloud services. Address the need for human resources. Skill areas that are likely to become increasingly important include those related to the IT and software skills needed to manage the migration and integration of cloud services; management and organizational skills to handle the reorganization and re-engineering of business processes; and legal and procurement skills. Government use of cloud services: Given their important role in the information economy in many developing countries, the role of Governments should be explored with regard to the establishment of national data centres, e-government systems and related public procurement. Although the report of the ITU clearly provides a very positive impulse to explore the potential of cloud services for Africa, unfortunately the centre of gravity is very much on the side of the government. It is true that regulation needs to be in place, and the threshold to broadband access needs to be lowered, but the report seems to overlook the power of industry to make Governments move. Local innovators and early movers in IaaS, PaaS and SaaS should be supported and motivated in order to develop local solutions. In Africa business and an local initiative are still the most important drivers for change, not governments.